BHR Hollywood Reports......After leaving The Real, Tamar Braxton has released her new single "My Man". With a powerful voice, Braxton shares a heartache of deception. "Boy you let me down," she sings. "I am so confused/ i stood by your side/ through everything that you went through/ She is she around, why are you so cruel ? 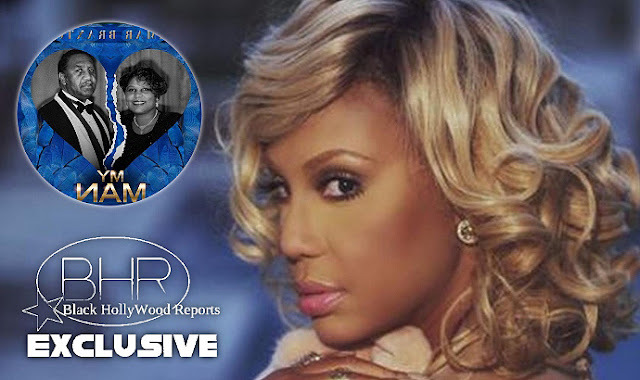 Based on the cover art, it appears the song was inspired by Tamar's parents, Evelyn And Michael Conrad Braxton (Sr.) Taking to Instagram, The R&B singer said the story will be revealed on tonight's episode of Braxton Family Values.